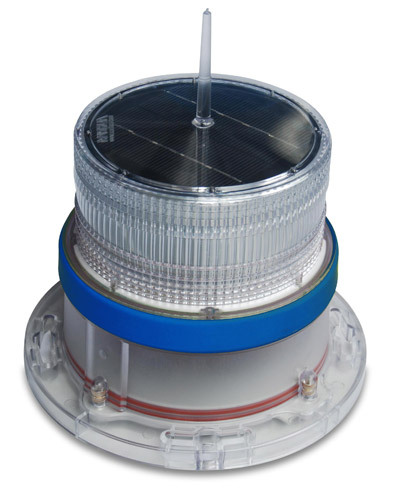 Solar Marine Navigation Light Blue, is Ideal for hazard marking, aquaculture, navigation, perimeter lighting & a host of other applications. 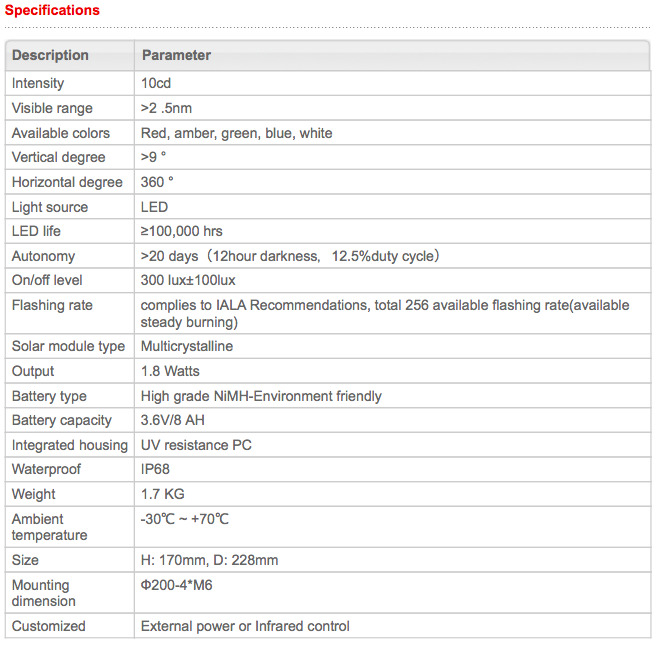 •	Based on LED technology, and its color complies to IALA Recommendations E-200-1. •	and deep immersion (IP68). 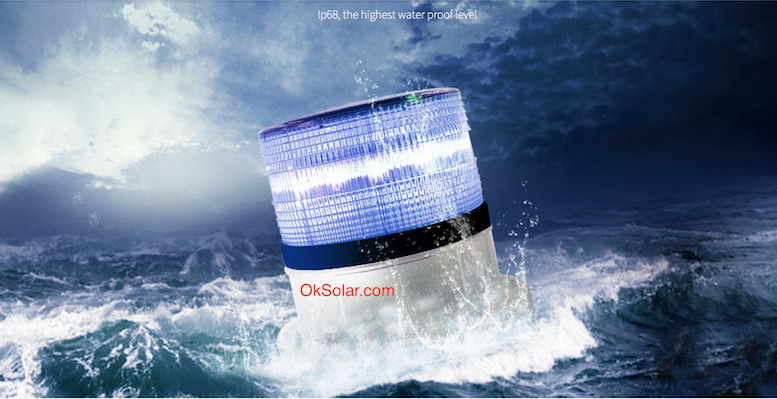 •	PC housing，UV resistance, shockproof and corrosion proof. •	256 kinds of flashing rate are available, comply with IALA. •	Intensity can be adjusted from 25%, 50%, 75% and 100% of total intensity. •	With photocell, and manual switch. •	With Steel wire to prevent falling during mounting and adjusting. •	With built in NiMH battery, easy for replace. •	No RF-radiations, EMC Compliant. •	Extremely Reliable and cost saving.